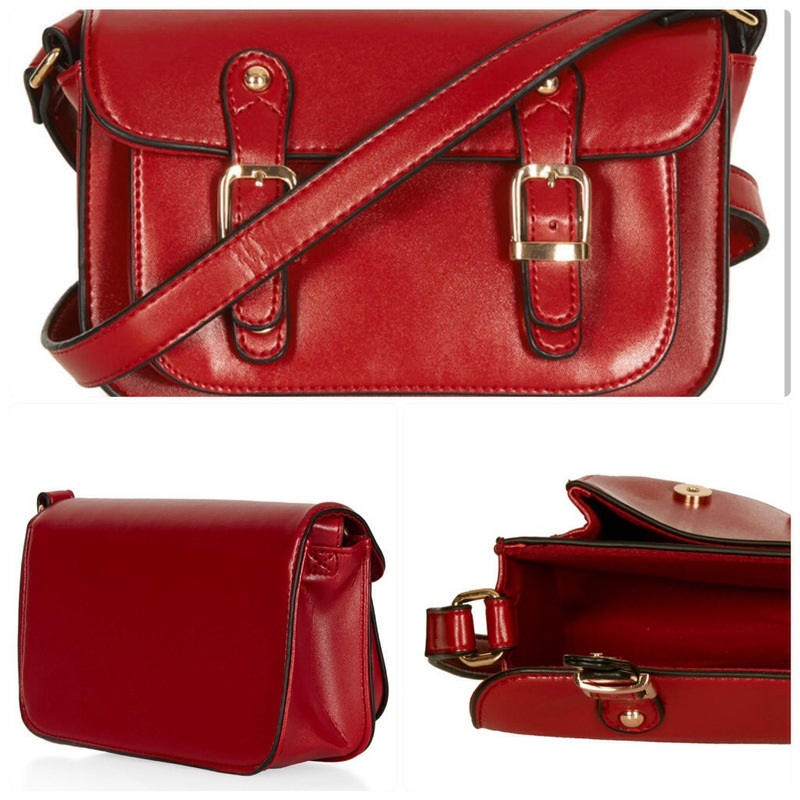 Finally I found what I wanted, I don’t go for dressy bags, or clothes for that matter so this little red satchel style bag is perfect. I did have to order it online as it was not available at my local Topshop. On first impressions it is a bit smaller that I expected but the dark red colour I absolutely love and the 2 easy to reach compartments are perfect for the things I do usually carry in my handbags, plus it has a little zip pocket for little valuables too. It may not be the best choice if you are one of those girls that likes to have everything and anything at hand on their bag. I teamed up the Topshop bag here with h&m boyfriend jeans and navy Converse. I was so lucky at the end of last summer to have inherited my youngest son Converse along with some Vans that he grew out off so rapidly they are as good as new. 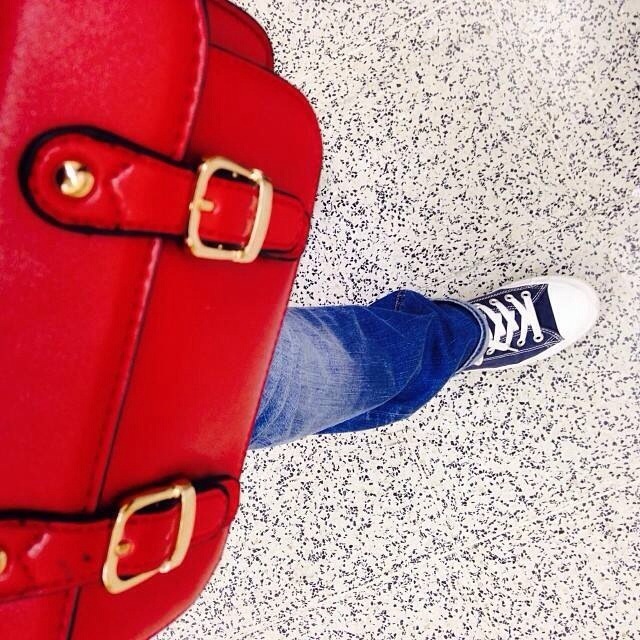 This entry was posted in home and tagged bags, red, satchel, topshop. Bookmark the permalink.